We all want to glow. That youthful, dewy look. You know, the one before we used make-up to cover all our imperfections. In fact, there’s a beauty product line out there that tells consumers it will make you “positively radiant”. They encourage you to try their items for a month and then attempt to find any age spots that may still linger. It’s their promise that your face will be clear from any blemishes that were previously there. Which is what’s so amazing about today’s verse. See, from the very beginning, before make-up was even an option, God had the perfect plan to keep you radiant. Glowing. His promise was that your face would never be covered by the marks of your past. Shame isn’t something you should be wearing. But how do we get rid of those marks? We need to look to him. He is the bright and morning star. He covers our sins and shines his light so brightly over our lives that our faces literally glow with his overflowing radiance. No earthly product could ever do the job that his all-consuming love accomplishes within us. No sin is too big. No mistake too glaring to blot out his brilliance in our lives. Billions are spent annually on beauty products to help cover up what we don’t want others to see. But the beauty treatment God promises? Not only is it 100% guaranteed, but it’s free. That’s because he paid the price. All we have to do is accept it. 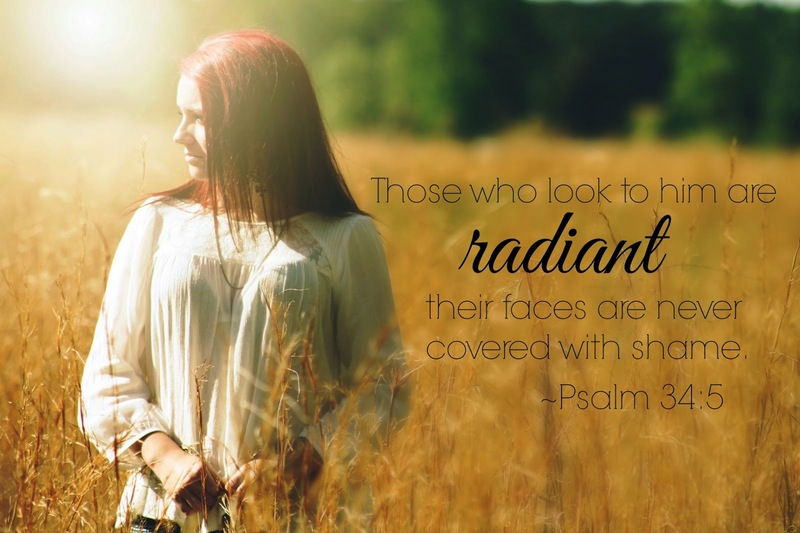 Lord, help us to find our radiant beauty in you. Lead us to let go of the shame of our past mistakes and cling to your forgiveness so that our reflections glow with your love. When you’re going through your beauty routine today, take a moment and stare at your reflection. Is there anything from your past that has been casting a shadow over you? Speak this verse to yourself, tape it to your mirror if you need to, and apply God’s love and forgiveness to yourself before any other earthly make-up. This ... your words ... blessed me today. Thanks, Susan.